Thank you for your interest in submitting an article for publication on ACN Latitudes. Please review our guest article requirements below. Articles must focus on one or more of the following topics: preventive/alternative approaches for neurological disorders, natural health, green living, child behavior, parenting resources, and/or integrative medicine research. Articles must be written for a general consumer audience. If your article refers to research, we prefer such research citations be made at the end of the article in APA style. We are generally looking for articles with lengths between 700 and 1,200 words, but will consider the submission of longer pieces if the topic warrants it. Articles for the site should typically include a few references or interviewed comments from experts (but we’ll review even those without such). Or, alternatively, should speak from practical or professional experience on a topic. Articles may be edited for clarity, grammar and length before being published. By submitting an article to us, you grant ACN Latitudes certain rights (see not-so-fine-print below). A biographical paragraph is permitted at the end of the article and may include a link back to your website or book, but it must be less than 100 words. Feel free to write to us if you have an interest in writing more regularly for the site as a contributor or blogger. We are always interested in giving a voice to new writers and people who have insightful opinions in the world of integrative medicine, behavioral strategies, and neurological disorders. 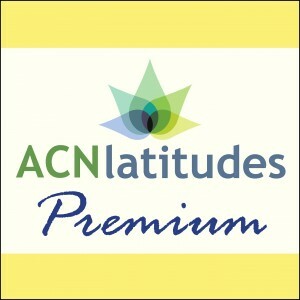 ACN Latitudes has the option, but not the obligation, to publish any material it receives. Any submission to ACN Latitudes grants us a royalty-free, perpetual, irrevocable, non-exclusive right and license to use, reproduce, modify, adapt, publish, translate and distribute such material (in whole or in part) worldwide and/or to incorporate it in other works in any form, media or technology now known or hereafter developed for the full term of any copyright that may exist in such material. Credit will always be provided. Art work/graphics to accompany any article will be provided by ACN Latitudes unless otherwise specified.